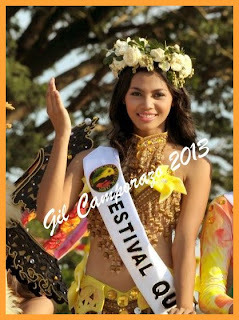 Kreenz Amor P. Cordero, 18, of Villa Caridad Subdivision, La Carlota City was the Pasalamat Festival Queen 2013 of La Carlota City. She is a Medical Technology student of the University of Negros Occidental –Recoletos (UNO-R). 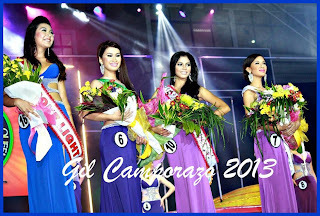 Her court was composed of Franchette Anne G. Laguda as 1st runner- up, who hails from Bacolod City taking up Tourism Management at La Consolacion College - Bacolod, and Chinky A. Cantere as 2nd runner-up who also comes from Bacolod City and a Bachelor of Science in Hotel and Restaurant Management student of John B. Lacson Colleges Foundation. Seventeen beauties participated the annual prestigious search for Festival Queen of La Carlota Pasalamat. This year's pageant night was graced by movie stars like Kim Chiu, Xian Lim, Jodi Sta. Maria, Aljur Abrenica, Diether Ocampo, DJ Durano and hosts Shamcey Supsup and Paolo Bediones. In the Pasalamat grand parade held in the afternoon of April 28 was participated in by floats, giant caricatures, street dancing and ended up at the public plaza for arena dancing competition. The participant came from among the 14 barangays and elementary and secondary schools in the division of La Carlota. The winners were Tribu Batuan –Best in Float while Tribu San Miguel – Best in Caricature. Street Dance Competition (Category A): Tribu RSB – 1st runner-up and Tribu Dos – 2nd runner-up. Tribu Doña Hortencia – 1st runner-up and Tribu Tayubo -2nd runner-up in Street Dance (Category B). Tribu RSB swept the special awards in Category A for best in costume, best in arena dance, best in street dance, best in choreography and the best performing tribe. Special awards for Category B went to Tribu Nabagatnang Mangkas – Best in Costume, Tribu RSB Elem. School – Best in Arena Dance and Best in Choreography, Tribu Saot’to –Best in Street Dance. Winners for Best Performing Tribe in Category A went to Tribu RSB as the champion, Tribu Dos as 1st Runner-up and Tribu San Miguel as 2nd runner-up. While the Best Performing Tribe under the Category B went to Tribu RSB as the champion, Tribu Nabagatnang Mangkas as 1st runner-up, and Tribu Saot’to as 2nd runner-up. For the Rhythm Competition (Category A): Tribu Dos - Best in Rhythm, Tribu RSB – 1st runner-up, and Tribu Cubay – 2nd runner-up. Category B winners were Tribu RSB – Best in Rhythm, Tribu Tony – 1st runner-up, and Tribu Norte – 2nd runner-up. The Hataw sa Galaw top-billed SWAG Republik – Champion, Exotic Crew – 1st runner-up, Rocka Fellaz – 2nd runner-up and SKB – 3rd runner-up. The Exotic Crew won Best in Costume and the SWAG Republik was best in production. Alyssa Terese Celo – Champion, Denry Magdato – 1st runner-up, CJ Burlat – 2nd runner-up and Kyla Janelle Flores – 3rd runner-up in the Awit Bulilit. Syrus Palanog- Champion, Kaye Stephanie Marabe – 1st runner-up, Rhea Sanchez – 2nd runner up and Reymar Iglesia – 3rd runner-up in the Awit Main segment. Cong. Jeffrey P. Ferrer and Mayor Juliet Marie D. Ferrer with the crew and staff of KB Production headed by Kitchie Benedicto - Paulino, sponsors, friends, advertisers, and the private and government entities were instrumental for the success of this week-long 2013 Pasalamat Cultural Festival. PAG-IBIG Fund –Bacolod was the major sponsor for the “Pawasak” parade. 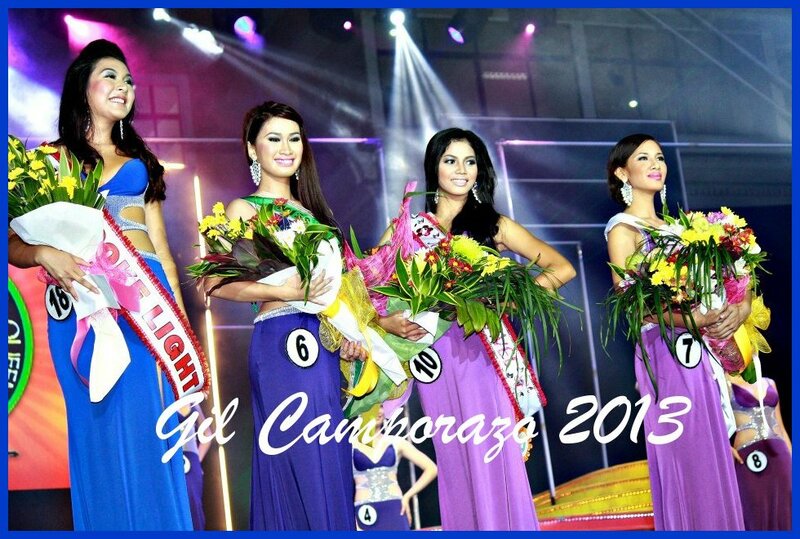 Kreenz, the winner is really pretty and her features are very Filipino. I miss celebrations like that in the province, it's rare now to experience here in the city. You need to come to a nearby countryside to truly see traditional feasts as that. Congrats to the winners. I bet everyone had a very good time watching the pageant. 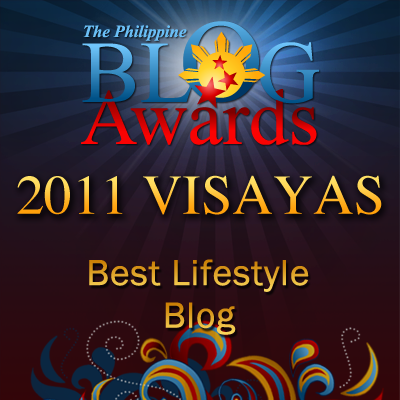 Wow, congrats to all winner.